In what seems to be nonstop stream of scientific studies aimed at making us leery of everyday objects (such as sponges or rubber duckies) comes a study that suggests your humble kitchen towel could make you sick. 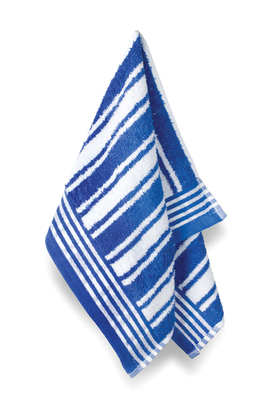 Before you rush to throw out all your cloth towels, there are a few things to know. First, the simplest solution is laying up a plentiful supply of towels, using each for a single purpose (wiping the counter, say, or drying hands), making sure they have a spot to dry out after you use them and changing them frequently. As in every few days. But if you are bugged by the idea of your kitchen towel attacking you, here's what the latest study found: After culturing bacteria from 100 towels used for one month, 49% showed bacteria usually found in humans, according to CNN. The study, which was presented at the American Society for Microbiology's annual gathering, found 36 towels had bacteria found in the intestine, such as E. coli, while seven showed evidence of staph.